It is small (1.1 to 2.5 mm long), brown, black or reddish brown aphid covered with a light powdery dusting. 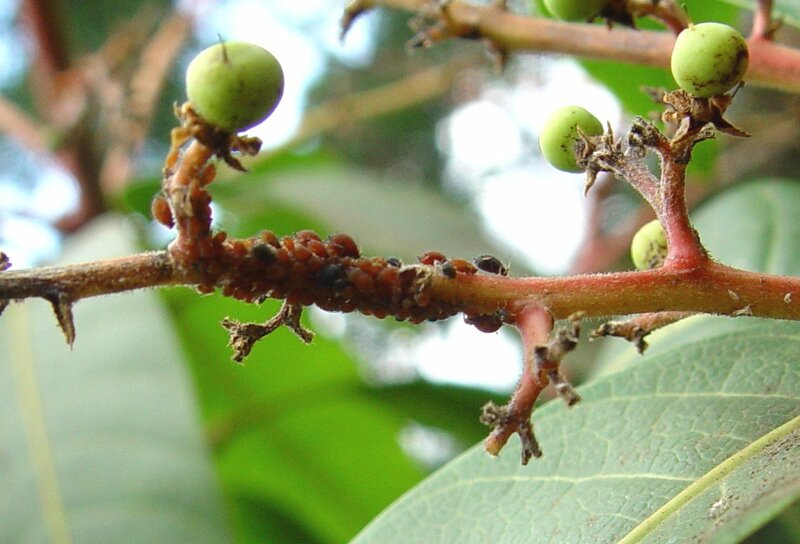 Aphids live in clusters sucking sap on the underside of young leaves, on petioles, young branches and fruit. Their feeding causes slight rolling, or twisting of the leaf midrib. 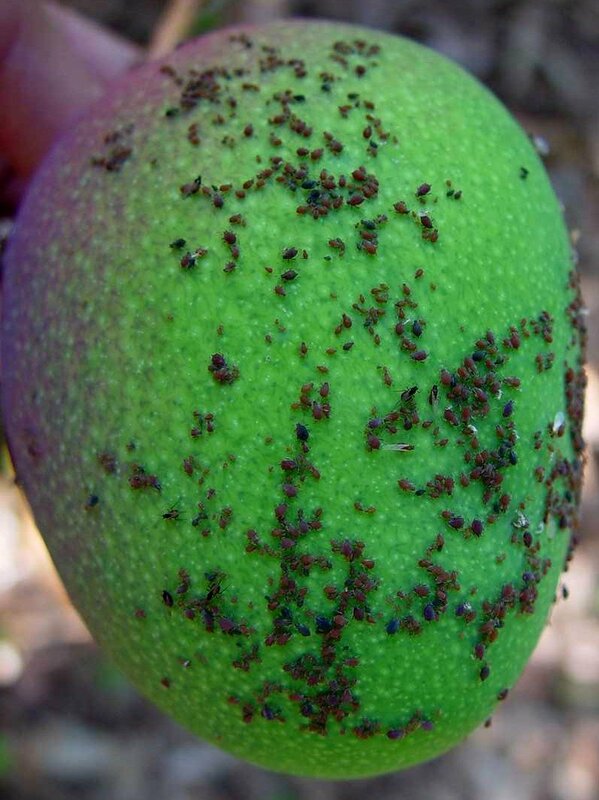 Sooty mould growing on honeydew produced by the aphids may cover leaves, twigs and fruit. Coating of the fruit with honeydew and sooty mould reduces its market value.